A timeless classic that works in virtually any environment, our simple curtain rod is tipped with a turned mango wood finial. Available in two sizes, both are designed to accommodate our rod pocket and hidden tab draperies. Exclusive to Soft Surroundings. Small has an additional delivery freight charge of $5.00. Large has an additional delivery freight charge of $5.00. 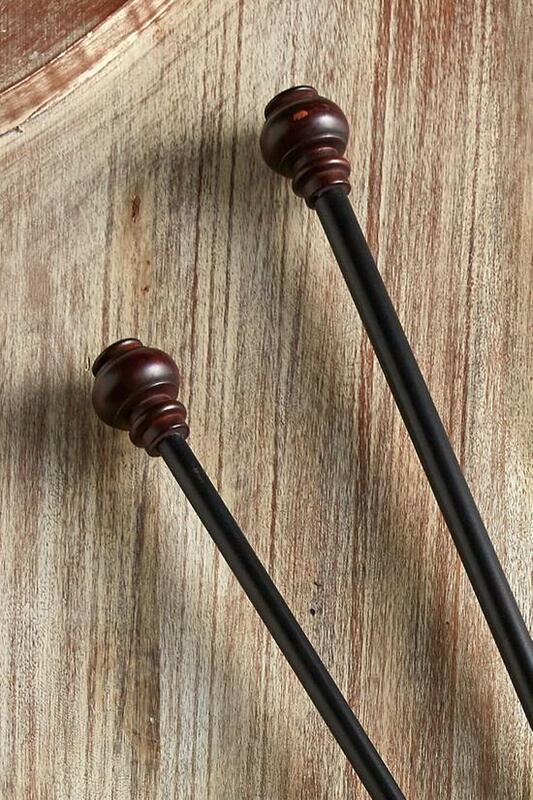 Turned mango wood finial has a mahogany finish. Extendable steel curtain rod has a black finish. Large curtain rod includes a 3rd hanging bracket.